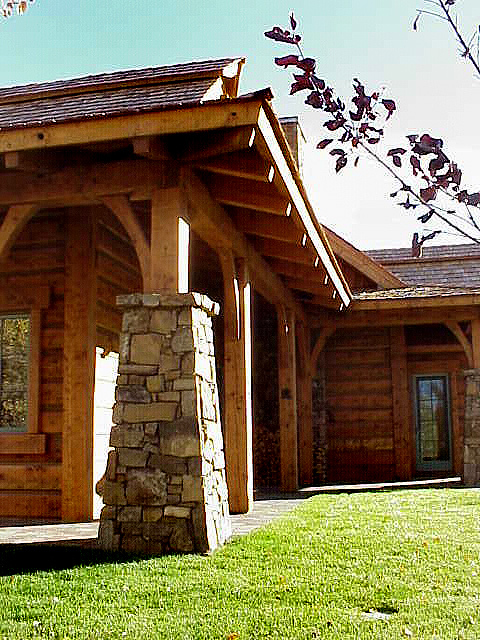 This mountain rustic home consists of 4,525 square feet of living and a 819.5 square foot 2 car garage. 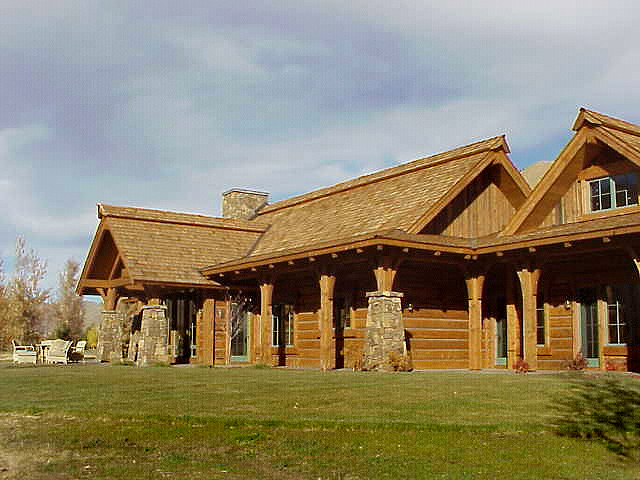 The home is located in Golden Eagle Ranch Subdivision, Blaine County, Idaho. 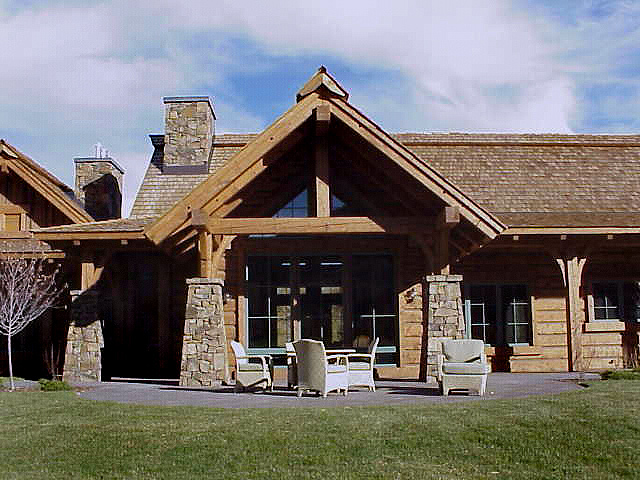 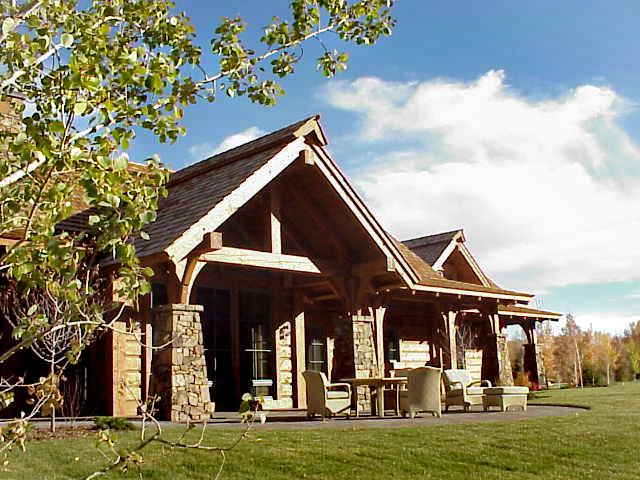 Wood frame structure, timber siding and detailing with stone columns and terraces.